Everything was so going well out in the vegetable garden and I was taking full advantage of the cool weather, abundant rain, a frost free start, and the ideal conditions for growing lush fall vegetable crops. From that moment everywhere I turned there were obvious signs that what looked like an entire herd of deer had been partying in the garden all night long! So much for my ideal growing conditions; deer have a quick way of ruining all that. It wasn’t a dream, but I can still hope it was a fluke and that these deer were simply lost, got turned around and decided to check out the garden before returning to their usual feeding grounds. After all I am smack dab in the midst of a residential neighborhood! Guess I’ll count my blessings that the damage wasn’t major and they even spared me the effort of pulling up a couple of beet roots. Seems like they were only interested in the beet leaves, Swiss Chard, and the pepper plants, but didn’t bother with much of anything else. Hopefully they won’t be returning anytime soon. It’s not all bad news in the garden as the following photos will show you that things are still green and growing in spite of the fact that the calendar shows November is only a few days away. 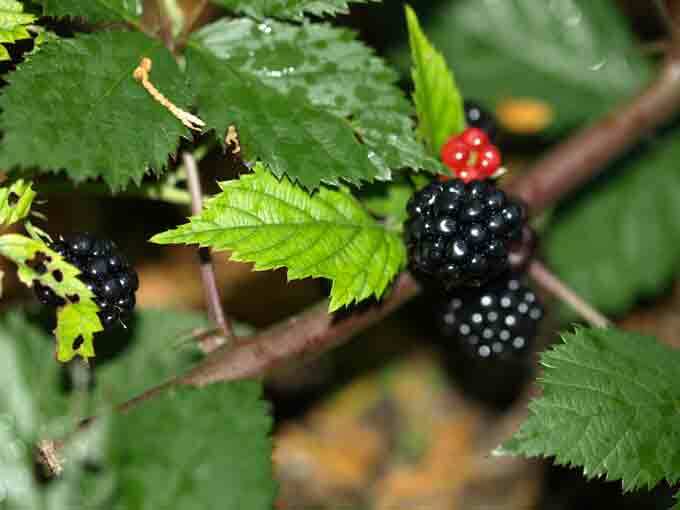 A few straggling blackberries continue to ripen despite the season and cool temperatures that have arrived in the fall garden. 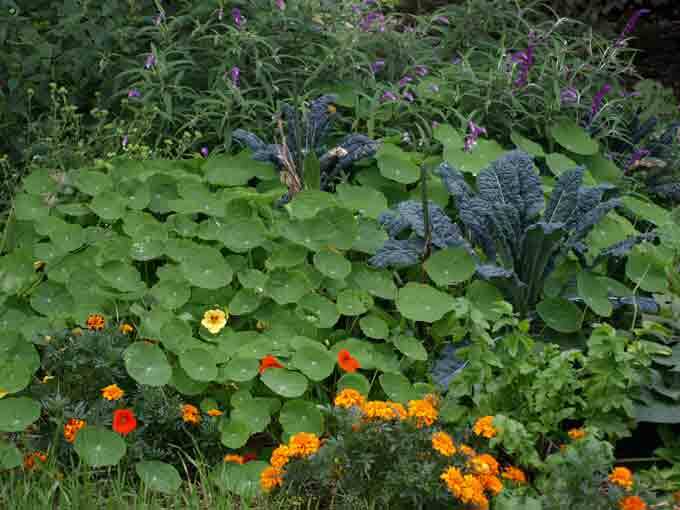 A colorful and attractive mix of marigolds, nasturtiums, kale, parsnips, and Mexican Sage creates a nice backdrop between the raised beds and a perennial herb garden. 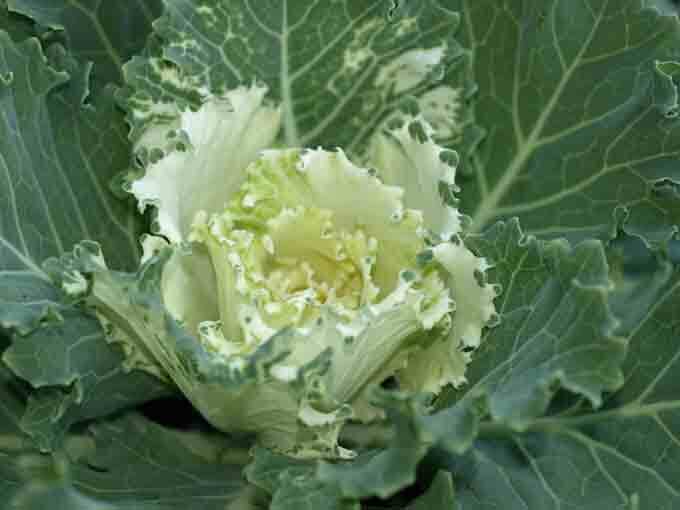 Ornamental kale and cabbage plants get better with age and as colder temps brighten their colors. 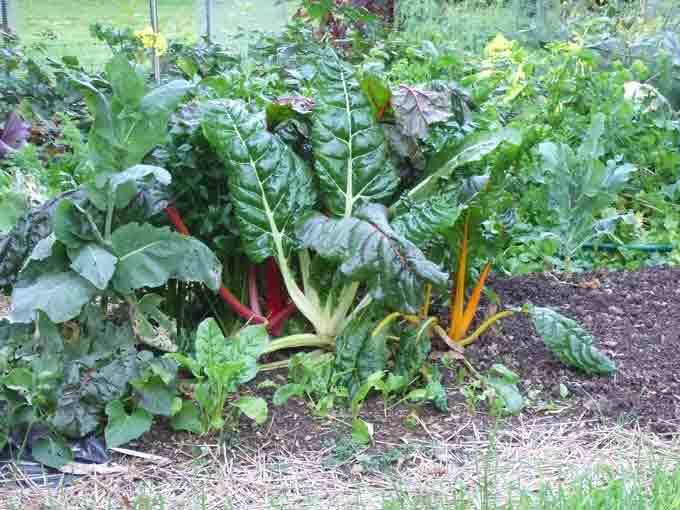 As hard as they tried, the deer were unable to eat all of the Swiss Chard, which continues to yield plenty of fresh, leafy greens. 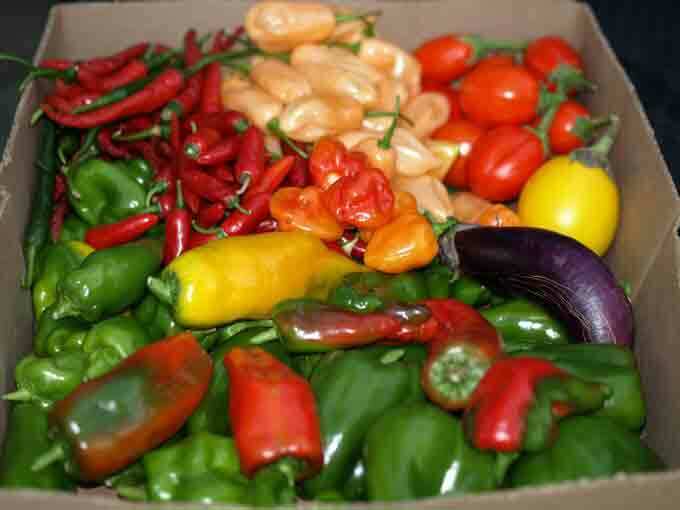 Frost has spared the eggplants and peppers just long enough for me to collect one final harvest from an assortment of heirloom varieties. I’ll wrap things up by saying once again that if you love veggie gardening but have never tried growing a fall vegetable garden; you are missing out on one of the absolute best times of the year to enjoy your garden! I noticed deer tracks in my raised beds as well, they uprooted a bunch of my arugula seedlings. GRRRR. they’re also eating off all my blueberry bushes and apple trees. Hi Susy, the rabbits took care of pruning the blueberry bushes in my garden this year! So far the deer have not returned. Thanks Frances, I’m actually in Pennsylvania and love Texas but that’s too many deer running around for me! Human hair, Urine are some of the best defence against the pesky deers. Some people hang irish spring soaps or use fox urine. Great garden blog Kenny. Keep it up. Ha! I don’t mean to laugh because it’s a serious thing…but it is pretty funny. I can just picture a herd of deer partying the night away at your place. Think I’ll link to this post at my http://www.learnvegetablegardening.com/ site. Here in Oklahoma the deer, rabbits, raccoons, and turtles help eat our garden produce. We found the only way to keep out our animal friends was to build an 8′ fence around our garden, place chicken wire about 3′ high around the bottom of the fence and hang plastic bags on the fence. This has worked for us and we can still enjoy the wild animals. We have a big fall garden and are picking raspberries. One other thing deer really like in the winter is strawberry plants. Love your blog. Next post: Tomato Blight, What Tomato Blight?